“Exciting Tomb Raider news” on the way. 20th anniversary something or other anyone? Square has started its hype(ish) train with a ‘Road to E3’ blog post where it runs though its plans for the show. That's basically Deus Ex: Mankind Divided, and a bunch of other stuff. However, it does tease that its next E3 update “will feature some exciting Tomb Raider news” as well as “details on a few new games that our team has been hard at work on”. Now, while it’s possible that we could get a new Tomb Raider announcement (assuming the franchise has survived its Xbox exclusive suicide release) it’s far more likely we’ll get something anniversary related - the original game came out in 1996, 20 years ago. 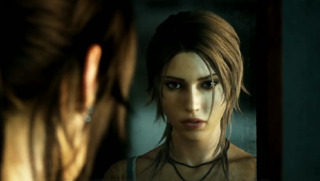 Last time Lara reached her 10th birthday Square released an updated version of the first game remade in the then current engine, and called it Tomb Raider Anniversary. I wonder if we’ll see a similar treatment for its 20th?